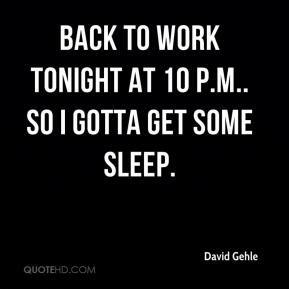 Back to work tonight at 10 p.m.. So I gotta get some sleep. They would have been short of help. 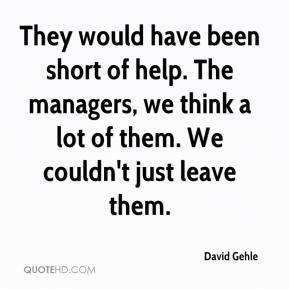 The managers, we think a lot of them. We couldn't just leave them.